Tao Fa Zhen, 29th generation Long Men Renunciant, was born in 1915 Ankang, Shaanxi. 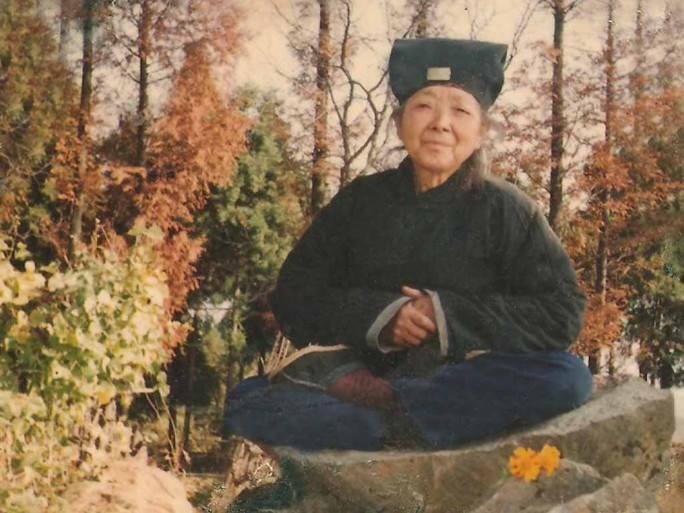 She began studying the Dao at age seven following her uncle who was an at home practitioner of the Zheng Yi Pai. She renunciated in Lou Guan Tai under the same master as Ren Fa Rong (now Head of the Daoist Association of China). She survived the severe hardship and torture of the cultural revolution, having chosen to stand her ground as a renunciant and refusing to return to societal ways. She came to the Five Immortal Temple around 1990, at the time no more than a few shacks, and was to remain the only residing Abbess for the following ten years. No longer in the same cultural and religious despair, however in extreme poverty and often without sufficient food and warmth, she continued to cultivate alone for many years. It was in 1995 when she sought out Du Xin De (Li Shi Fu). He had, for the third and final time renounced his family and society and took post at Zi Xiao Gong in central Wudang. He stayed there for some time though soon became unsettled and decided to seek out a smaller quieter place to cultivate. On the morning he had packed his bag and was on his way out of the gates of Zi Xiao towards he did not yet know where, one foot had stepped over the door rise and one foot was still inside, a messenger came running up the steps towards him. “Ah, then I have found you!” The messenger explained to Li Shi Fu that he was to take him to White Horse where the Abbess was waiting to meet him. When he arrived, Li Shi Fu asked Tao Shi Fu how she had known his name and she only laughed in return. Li Shi Fu stayed with her until her ascension to immortality in the year 2000, learning from her scripture, herbs, inner alchemy, and of all intangible things, most importantly the cultivation of life and character, making merit and dispelling desires. He then took her place as Abbot of the Five Immortal Temple.